One step beyond the Odyssey? For years, Ford’s Windstar has been popular as a sort of family appliance. It has served families well—and also sold well based on its value proposition—but most owners would probably admit settling for the Windstar based on its packaging or the deal they got rather than because of its style or the way it drove.In the scenic backdrop of Michigan’s Grand Traverse Bay region, Ford officials presented the Freestar to us as extensively redesigned and much improved in drivability areas. 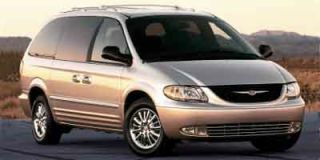 The “new” minivan revealed to us looked more than a little familiar, with the same basic proportions and the sheetmetal only slightly changed from the Windstar. Max Kapadia, the chief engineer for the Freestar and Monterey, confirmed that the body shell is essentially the same, but about 60 percent of the parts within are new. 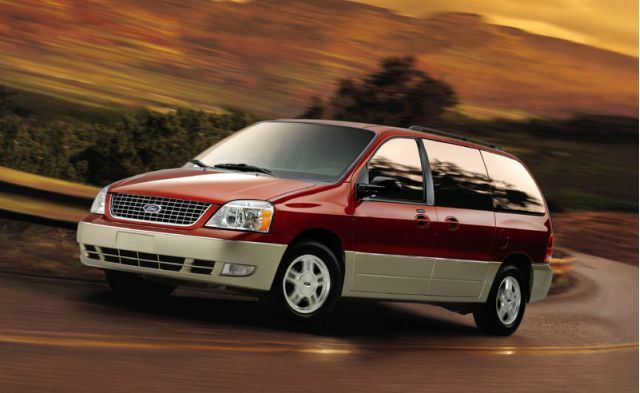 Faced with more competition in the minivan segment, Ford has opted to give the Windstar a new name and a partial redesign. As with the outgoing Windstar, the Freestar’s emphasis is on safety features, but the new minivan places greater emphasis on refinement, plus some new, clever packaging tricks that up the ante for the competition. Other targets in the Freestar’s development were greater versatility, better quality, and improved performance. The 3.8-liter, cast-iron ‘Essex’ V-6, which dates back to the 1983 Thunderbird and has gone through a series of improvements over the years, carries into the Freestar with some more significant improvements focused on damping its noise and vibration. A new camshaft profile for the pushrod engine allows smoother low-rev operation and 90 percent of torque is now available at 1500 rpm. Peak torque of 245 lb-ft is made 500 rpm lower than last year’s engine, but horsepower still lags the competition at 193. The 4.2-liter engine offered in the higher trim levels is simply a larger-displacement version of the 3.8, making 201 hp and 263 lb-ft of torque, with no other significant differences. Powertrain engineers have worked to reduce the induction noise that has plagued past iterations of the engine, with exhaust changes as well, and stiffening ribs have been added to the block. Engine mounts have been completely changed as well, both for engine isolation and better crash protection, with hydraulic mounts now used where only a solid mount was previously used. Together, the changes make for a 25-percent reduction in “radiant engine noise,” according to engineers. Also, failsafe cooling new for this year allows the van to limp to a safe pullout space using one cylinder at a time—with only half of the cylinders allowed fuel—to prevent engine damage. Similar improvements apply in the transmission to improve refinement and drivability. While the competition is going to standard five-speed automatic transmissions, the budget required keeping the current four-speed automatic, but engineers worked to improve its lumpy shift quality. This required a redesign of the transmission’s network of hydraulic “worm trails” and the control-valve system. A new torque converter helps give snappier off-the-line performance. The result of all these improvements is smoother shifts, and a reduction in severe jolts through the system, bringing the added advantage of increased durability. The engine’s hefty torque output in the low- and mid-rpm ranges means that four gears are plenty. The engine is happiest under 3000 rpm; above that it progressively becomes more loud and coarse and doesn’t reward you with any buildup of power. With the way that the engine is tuned, there’s plenty of torque right off the line for scorching takeoffs, but high-speed passes aren’t quite as fast as expected. Sophistication comingBrakes and steering have been improved, too. Larger anti-lock four-wheel disc brakes are now used, and the brake system has been revised for a better pedal feel. During our drive, we noted that the pedal feel is much improved—and very un-Ford-like for those who are acquainted with the spongy, overboosted feel that auto critics continuously commented on in ’90s-era Ford models. Another common complaint in the outgoing Windstar, an engineer admitted, was that the steering felt vague on center and too many small steering adjustments had to be made. To remedy this, they completely reworked the Freestar’s front suspension geometry to reduce secondary body motions and aid in better tracking and a better steering feel on center. A stiffer intermediate shaft also helps the steering feel more secure on center. The actual steering gear is unchanged, with the same ratio as last year (though different boost), but you’d never be able to tell because the feel is drastically different. The twist-beam suspension setup in back carries over with no changes. It was again chosen for simplicity, packaging, and stability for towing, and it’s designed to maintain similar ride quality with either a light or heavy load. Over most surfaces, it allows decent ride quality for even the third-row passengers, and the damping is tight enough to keep from bouncing too much. On the gentle ups and downs of the unevenly surfaced highways in Michigan’s quaint Leelanau Peninsula, where we were able to test the new minivans on nearly empty roads, we found the ride mostly smooth and controlled but a bit pitchy. Overall, the ride quality is improved but not class-leading. All the suspension improvements together give the Freestar a much more confident feel on the road than the outgoing Windstar. The steering feels good on center and in tight corners, and the van tracks well even on rough surfaces. But still, the Freestar isn’t the kind of vehicle (or minivan) that you’d choose to have fun hustling through a tighly winding road. 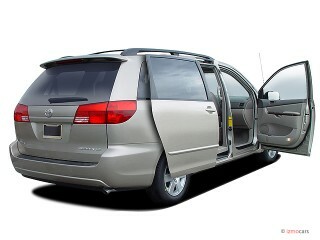 There are better handling minivans, but the Freestar is safe and secure, which is what really matters to most minivan buyers. The improvements in powertrain refinement are met with equally important improvements in overall vehicle refinement. Engineers mapped out wind-noise hot spots in the wind tunnel and added sound-deadening materials where necessary. While much of the body shell is carryover, the use of laser-welded blanks in the assembly process greatly improves tightness and consistency. 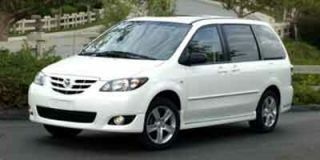 In the driver’s seat, it’s not an exaggeration to say that the Freestar is luxury-sedan quiet. Very little noise from road, wind, or tires enters the cabin, though the engine can still be obtrusive when accelerating. And we found one other hole in Ford’s noise-abatement efforts by sitting in the third-row seat for a while when a colleague drove. The third-row area is much noisier than the second row, and it seems to be mostly in the way of combined road noise from the wheel wells and rear tailgate, where even more noise damping could be used. 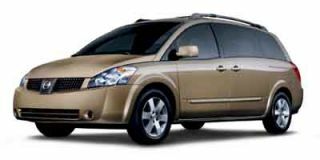 Good packaging is highly important in a minivan, and it’s a key selling point for the Freestar, which truly excels versus the competition. Foremost, the packaging of the third-row seats is greatly improved. One might say that Ford simply studied the Odyssey’s third-row packaging and made it better. The third-row bench folds flat into a recessed area in the floor without much force and there’s no need to remove the headrests. The recessed area is a handy gear-stowage area when the seat is up in place, and an inventive Tailgate Bench Seat feature lets the entire third-row bench pivot back onto the tailgate, turning the backrest into the seat cushion and vice versa for an impromptu tailgate party. A hydraulic strut system for the third-row seat actually controls the rate of fold. Though it seemed just another pointless gimmick at first, like soft-motion ashtray doors, it serves to make sure childrens’ feet aren’t smashed underneath. The second-row captain’s chairs, offered upscale SEL and Limited models, fold forward very easily. They tilt forward easily with one hand and one lever and can be removed, but they’re still quite heavy. We weren’t shown any examples of the lower trim levels, which have a second-row bench as standard. So are all these seating spaces comfortable? The front seats are comfortable and very adjustable in the high-end models, but the cushions still seem too wide, flat, and short for most drivers. The second-row seats are just as comfortable as the front row, with plenty of legroom to sprawl out to. And while the third-row seat is easier to use than in competing models, it’s still just as cramped to sit in. The seating position is low, and your legs have to be splayed out to fit behind the second row. I can’t imagine three back there. The Freestar has a plethora of drink holders, cubbyholes, and map pockets, as any good minivan should. The front doors are now good for holding a 20-ounce soda bottle, while the cupholders in the center console are good for large fountain drinks. Furthermore, the kid-proof cupholders on the sides of the second-row captain’s chairs are designed to break free, rather than break, when stepped on. Then they simply snap back into their track. Ford has also now paid more attention to the interior appointments. Besides the clever design considerations with seating and packaging, it shows, with a new steering wheel and switchgear, new upholstery, a thoroughly revised dash layout with nice round analog gauges, and improved, ‘softer’ dash surfaces. The upright front-seat and dash area takes more to the style of Ford’s SUV models. But overall, the Freestar’s interior still just looks rather plain next to the Honda Odyssey, the new Toyota Sienna, and especially the new Nissan Quest. We were quite puzzled with an odd Freestar design choice, to which no one had a clear answer for us. When looking at the Freestar from the side, you can see the interior front-door panel sticking a good two inches above the outside doorline. It looks like a glaring mistake, as if the design budget got cut and it had to stay that way, and when we asked we got three different stories from three different people on the project as to why the panel is the way it is, revealing something about the communication within Ford. One said that the door and power window mechanisms wouldn’t fit in a lower panel (which seemed unbelievable as the door is so huge! ); another said that a decision was made to keep the panel because it gives people more of a feeling of safety (also hard to believe as you look down the gap from the panel to the real window sill! ); and yet another said that he doesn’t know why and the panel has simply been carried over from the original Windstar, which had a higher door beltline. Would this happen at Honda or Toyota? We don’t know, but we don’t notice the panels sticking up on those vans, either. The Freestar’s sound system has a revamped interface (which takes up a lot of real estate on the dash), but the sound quality on our loaded test car was still middle-of-the-road. Ford is also hoping to attract buyers with Freestar’s continued emphasis on class-leading safety features. The so-called Safety Canopy side airbag system deploys in a side impact or rollover and allows protection for all three rows of seats, unlike most other curtain bag systems, which don’t protect the third-row seats. But the big catch is that the Safety Canopy system isn’t standard—it’s a $695 standalone option on all models. Weight-sensing airbags are now standard for the front-seat passengers. The innovative system, sourced by supplier Autoliv, uses a weight-sensitive pad to detect the relative size of an occupant and decide to suppress the airbag deployment or deploy the airbag in a depowered mode. Door-mounted side-impact airbags are still standard for front occupants. Several other new features add safety. The side mirrors now have integrated turn signals to aid in visibility to other drivers. Power adjustable pedals are now offered on high-end models such as the Limited we drove. A tire-pressure monitoring system is standard on all models, and self-sealing tires are a $280 option. An improved version of AdvanceTrac, a stability control system, is offered as an option. Ford says that the new system benefited from real-world testing on the snowy highways of Michigan’s Upper Peninsula. The Freestar offers a towing capacity of 3500 lb with the towing package (late availability), a figure that’s competitive but not class-leading. For those who tow, the handy ‘overdrive off’ button on the end of the shift stalk is gone, meaning you have to shift the selector down to ‘3’ now instead. While the V-6 is torquey and agreeable for those heavy loads, it’s also very thirsty. Those transitioning from most other minivans where they’re used to getting 18 to 20 mpg around town will be shocked to see the Freestar only returns 15 or 16. The new Freestar comes in five different trim levels with a bewildering array of features and options. 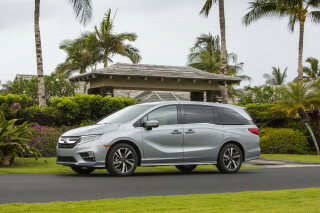 There’s just too much to go into detail, but a base, 3.9-liter van transacts at $24,460, while the top-line, 4.2-liter Limited that we drove starts at $33,630 and options even higher (the vehicle we tested topped $36,000). 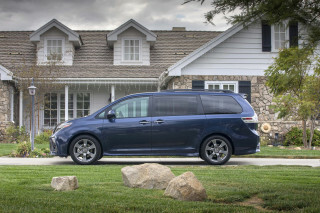 The portion of younger minivan buyers is shrinking, with empty-nesters taking more of the market — up to 40-percent now. Ford is hoping to garner a larger chunk of those older folks this time around. And minivan buyers are a very practically minded lot, not likely to weigh refinement and personality of the vehicle at the top. 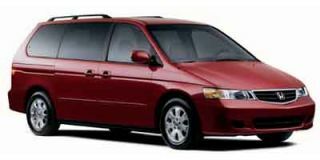 With so many minivan models and all of them quite similar, we had to ultimately ask, Okay, so what does a typical minivan shopper want? The essentials include easily reconfigurable seating and cargo space, a kid-friendly design, an emphasis on safety, and ease of driving. The Freestar has all that, but maintains the most truck-like personality of the front-wheel-drive minivans, weighing toughness and cargo flexibility over tech features and all-out refinement. But for those who put style and refinement nearer to the top of the list, look to more exciting alternatives like the new Sienna and Quest. Looking for a different year of the Ford Freestar?